So much of the taste of wine comes from its smell. Therefore, I enlisted the help of my greyhound, Nora, to use her super-sensitive smelling abilities as a critic for a side by side competition among several wines. The judging was simple: the more she sniffed or licked the cork or cap, the better the wine must be. Here are the results. Pinot Noir: Two sniffs, one lick. I knew she wanted a taste but although she’s twenty-eight in dog years, I won’t let her have a sip from my glass. She glared at me like I was Michael Vick until I brought out the next cork. Score: Two paws up. Cabernet Sauvignon: Only two sniffs but she also aggressively attempted to chew the cork. I have only seen one wine judge lunge for the cork with his teeth before but it was after he’d confused his cold medicine with bull shark testosterone. 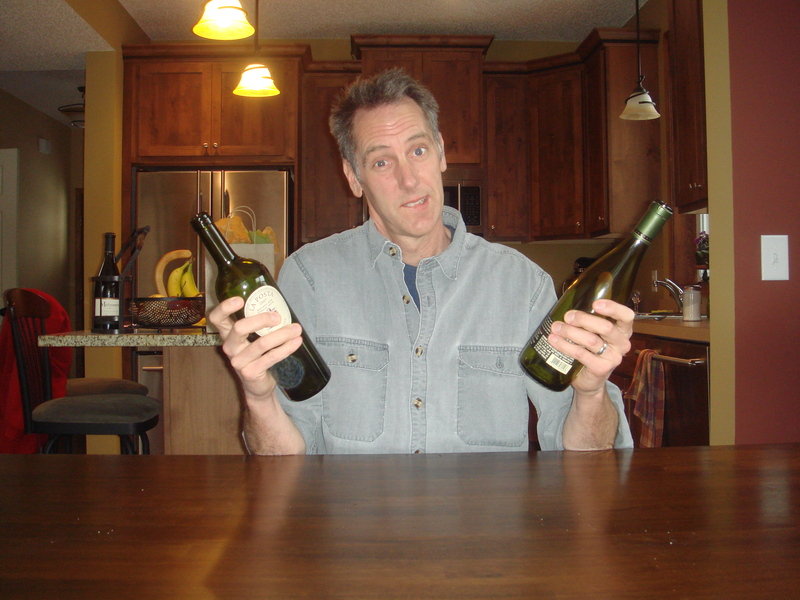 I have to assume lunging for the cork with one’s teeth is a positive testament for the wine. Score: Two paws up. Chianti: Three sniffs and enough licking to give the cork the feel of an oil soaked gerbil. I slid the soggy cork back into the bottle and made a mental note not to pour the remainder of the wine for guests. Score: Two paws up. Lemon Fresh Pine Sol : Two sniffs. In an effort to avoid an appointment with the vet and a date with the ASPCA, I restrained her from licking the cap. Score: Two paws up. I’m beginning to have my doubts about Nora’s palate. Boone’s Farm (Apple Blossom): One sniff. Nora immediately adopted the same depressed expression she wore when she learned David Archuleta lost American Idol. She then ignored the cap and spent the next fifteen minutes licking the same spot on the carpet. A rather damning statement about the wine considering Nora happily gobbles up dead beetles and frozen rabbit turds. However, my faith in Nora’s judgment is restored. Score: One paw down. Test conclusion: I probably have too much spare time on my hands. This week’s recommendation is an excellent Malbec. 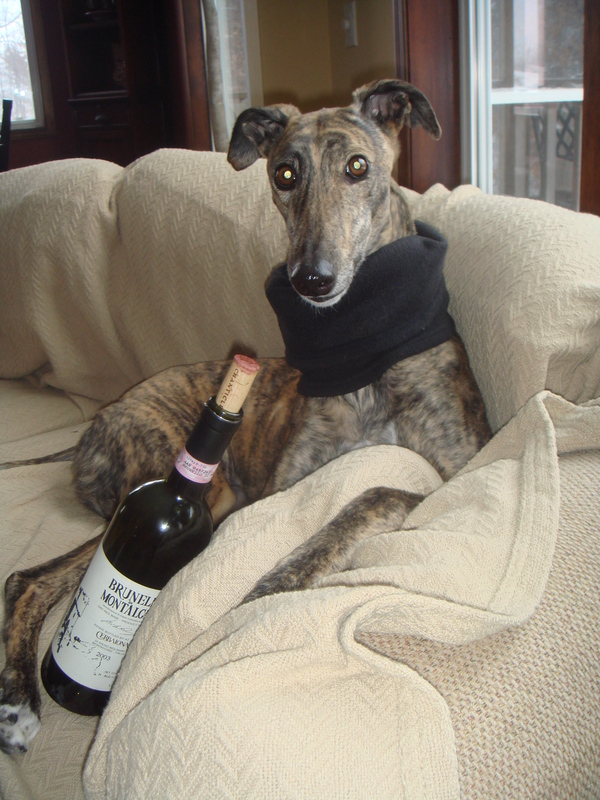 Trivento 2009, Malbec ($8.99): This wine reminds me of a retired greyhound racer. It’s powerful with beautiful structure and at the same time it displays a docile mellowness. In wine speak that means it’s super delicious. At under ten bucks you also feel like you’ve just won at the track. You are currently browsing the archives for the Malbec category.